The Ravens figured all along that Za'Darius Smith had priced himself out of their market. Losing franchise icon Terrell Suggs was a surprise. But now the Ravens must move forward without two players who accounted for 36 percent of their sack total last year, and that greatly ramps up the pressure on outside linebackers Tyus Bowser and Tim Williams, who were drafted in 2017 as heirs apparent but have yet to live up to their Day Two draft status. "Those two guys need to step up," head coach John Harbaugh said at the owners meeting last month. "It's their job to do that. They're very committed to doing it. I've talked to both of them. Both are excited about their opportunities." With the loss of Smith and Suggs, signed away as free agents by the Green Bay Packers and Arizona Cardinals, respectively, the Ravens have lost 15.5 of their 43 sacks from a 2018 defense that ranked No. 1 overall and No. 5 against the pass. Smith led the team with 8.5 sacks, doing some damage in the interior as well as on the edge, and Suggs had seven sacks, increasing his franchise-record total to 132.5, the most by any active NFL player. Matthew Judon, who had seven sacks last year -- including three on consecutive snaps against Oakland -- returns as the leader of the outside linebacker group, but losing Smith and Suggs has left the edge rusher position as perhaps the most glaring roster question entering 2019. That's in part because neither Bowser nor Williams has asserted himself yet, which led to the 36-year-old Suggs playing 72 percent of the team's defensive snaps last year. Whether fatigue played a role, Suggs appeared to wear down at times and registered 1.5 sacks during the final nine games. Bowser, a second-round pick out of Houston who turns 24 in May, finished with 11 tackles and 0.5 sacks this past season, playing about 10 defensive snaps a game. Bowser had recorded three sacks and an interception as a rookie in 2017 but saw his playing time drop sharply after the Ravens' blowout loss to Jacksonville in London that year. For Williams, 25, injuries and inconsistency have stymied the career of a player the Ravens viewed as a situational pass rusher when they made him a third-round draft pick out of Alabama. Flashing the edge speed the Ravens covet, Williams had a strong training camp in 2018 and had two sacks in the first four games, but he played in just three of the final 12 games. Williams spent part of that time dealing with an ankle injury sustained in Week 8 at Carolina, but injuries were not the only thing keeping him on the sideline over the final eight games of the season. There have been questions about his preparation, and when asked at one point late in the season what Williams needed to do to be active on game day, Harbaugh tersely replied, "He has to be one of the best 46." Given the Ravens' glaring need, it wouldn't be a surprise to see the Ravens address edge rusher with their first pick of the draft. 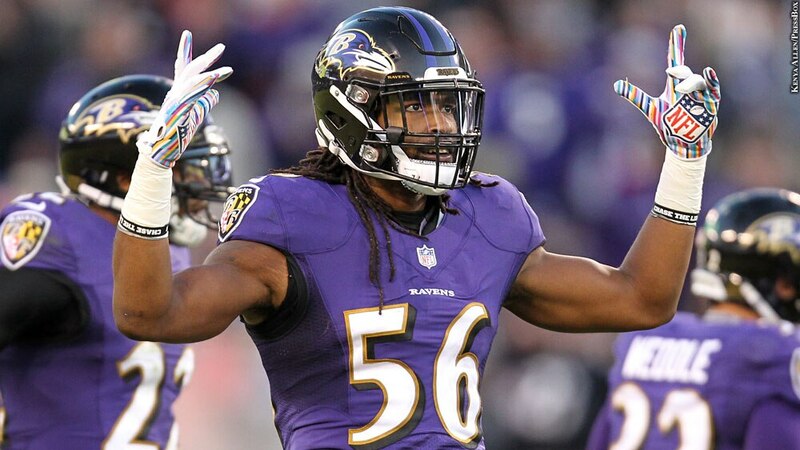 However, general manager Eric DeCosta said April 2 that edge rushers are among the players who often fly off the board earlier than projected given the league's emphasis on the passing game, and the Ravens have never been known to reach based on positional need. "You're not going to pass up on a fantastic football player to take a good football player" at a position of need, DeCosta said at his predraft news conference. "We're never going to do that." If the Ravens fail to land an impact, plug-and-play edge rusher, and the best of them are likely to be long gone before the Ravens are on the clock at No. 22, the onus falls even more on Bowser and Williams to emerge this season.